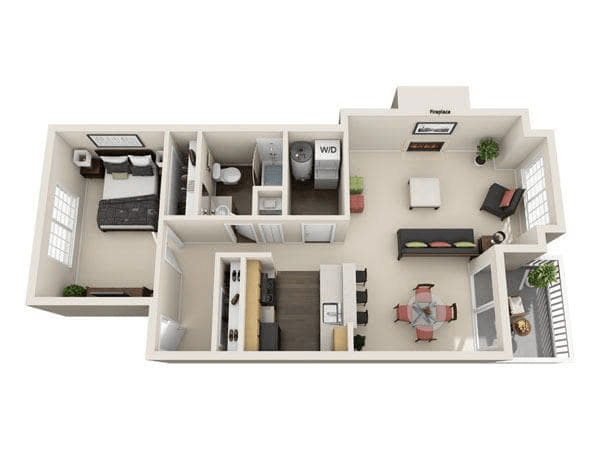 Maple Glen Apartments offers six unique floor plans in one and two bedroom designs. 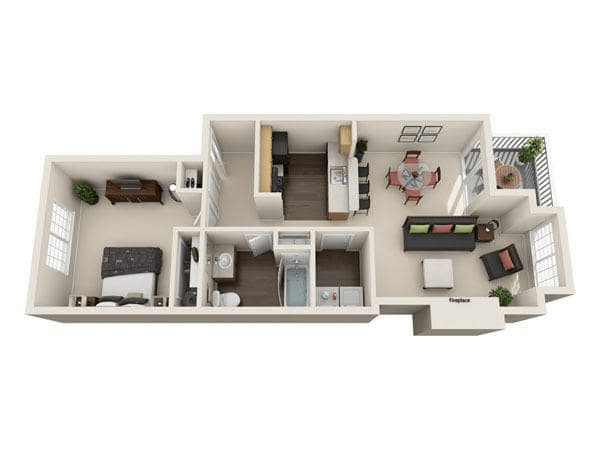 You’re sure to find your comfort zone among one bedroom layouts measuring 661, 666, or 721 square feet. 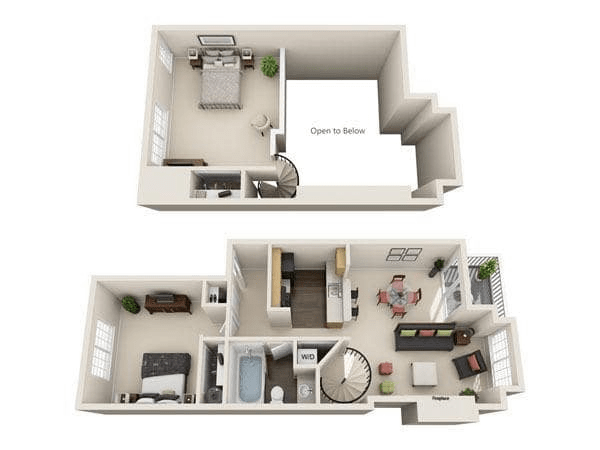 Two bedroom apartment homes are sized at 821, 865, and 910 square feet, with an option for a loft bedroom accessed by a graceful spiral staircase. In every apartment home, a wood-burning fireplace will set the right mood and warm up on a chilly northwest night. Get in touch with our leasing team in Mountlake Terrace, WA, to learn more about fully furnished apartments at Maple Glen. 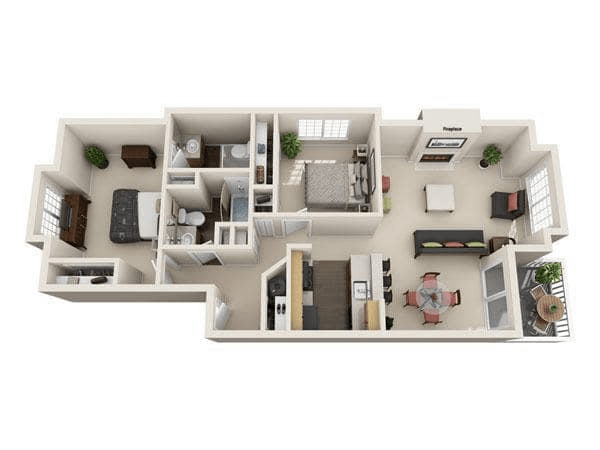 Whichever floor plan speaks to your lifestyle, your Maple Glen apartment welcomes you home to comfort and easy living. Optimize the time you spend on chores with an in-home washer and dryer. There’s abundant storage space for your gear with large walk-in closets and available garages. A breath of fresh air and the great outdoors is always a step away on your private patio or balcony. 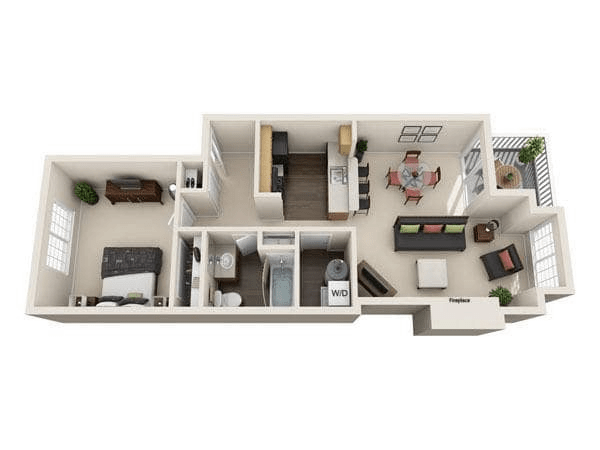 Whether entertaining friends or just relaxing at home with your pet, Maple Glen Apartments is home. 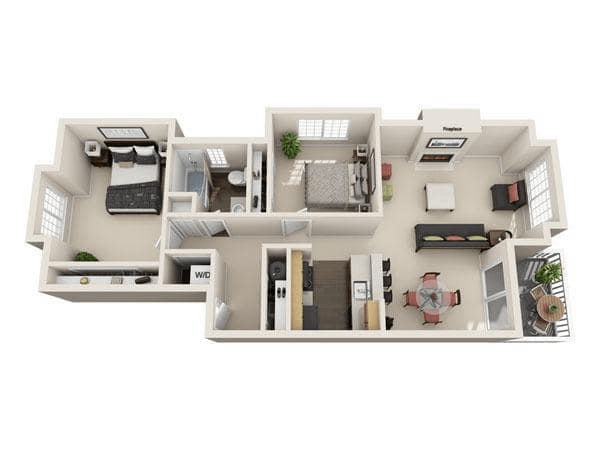 Visit our amenities page to see the full list of thoughtful features and community amenities at Maple Glen Apartments.